Carrier Airborne Early Warning Squadron (VAW) 121, the "Bluetails," launched the squadron's first E-2D Advanced Hawkeye during a test flight from Naval Station Norfolk, Nov. 20. 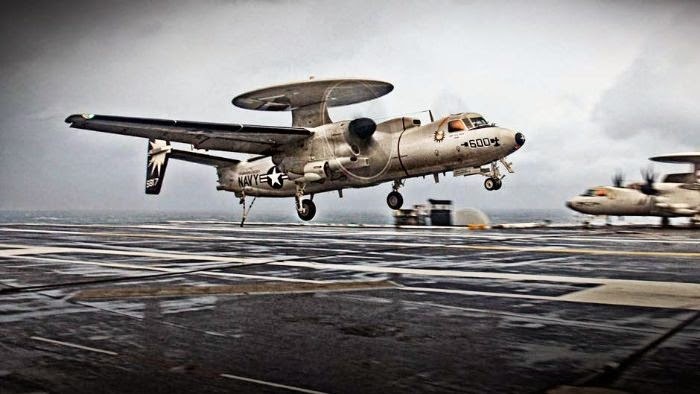 The flight marks the end of VAW-121's 37-year relationship with the E-2C Hawkeye, the previous model, and moving forward with the E-2D Advanced Hawkeye ahead of most other early warning squadrons. "It's still an E-2 and we're going to be capable to provide all the functions and perform all the same missions as we did with the E-2C," said Lt. Cmdr. Nolan King, operations officer for VAW-121. "With the added improvements in our sensor capability we're going to be able to improve efficiency and lethality of the strike group and other assets we're working with." King said one of the major changes the E-2D will affect upon VAW-121 is an increase in personnel. Due to all VAW squadrons receiving five E-2Ds instead of four, as they did throughout the E-2C's 50-year run in the Navy, more personnel are required to maintain and pilot the extra aircraft. "We're in a great position to help write the book on employing this aircraft throughout the rest of this year and the next," said Lt. Daniel Hill, training officer for VAW-121. "We're taking what we know and helping to develop recommendations to the fleet and weapon schools based on what we see." Many of the new improvements aboard the E-2D include an entirely new electronics suite, more powerful turboprop engines and the future potential for air-to-air refueling. "It's like anything brand new, everybody wants to get their hands on it," said Aviation Machinist Mate 1st Class (AW) Luis Garcia, power plant leading petty officer for VAW-121. "One of the best things about getting this new aircraft is knowing that we get to be the pioneers and learn the platform before anybody else." Garcia said many of his crew volunteered to extend at VAW-121 for the opportunity to deploy with the E-2D and become experts on the new aircraft ahead of many others in the fleet. Even with the excitement of being the second squadron to receive the E-2D, the first being VAW-125 the "Tiger Tails," many of the crew are sad to see an aircraft they had all grown familiar with start its slow march to becoming obsolete in the fleet. "There's always a little nostalgia to see an old friend go," said King. "But there's still enough of the E-2C in the E-2D that we can see our heritage in it." 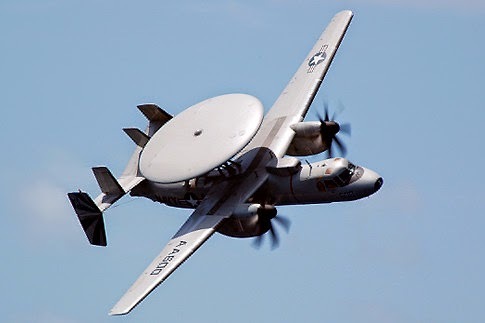 Testing for the E-2D began in 2007 at Naval Air Station Patuxent River, Maryland, with the craft's first deployment scheduled with aircraft carrier USS Theodore Roosevelt (CVN 71) in 2015.